Super glam intergalactic disco space babe ALERT! 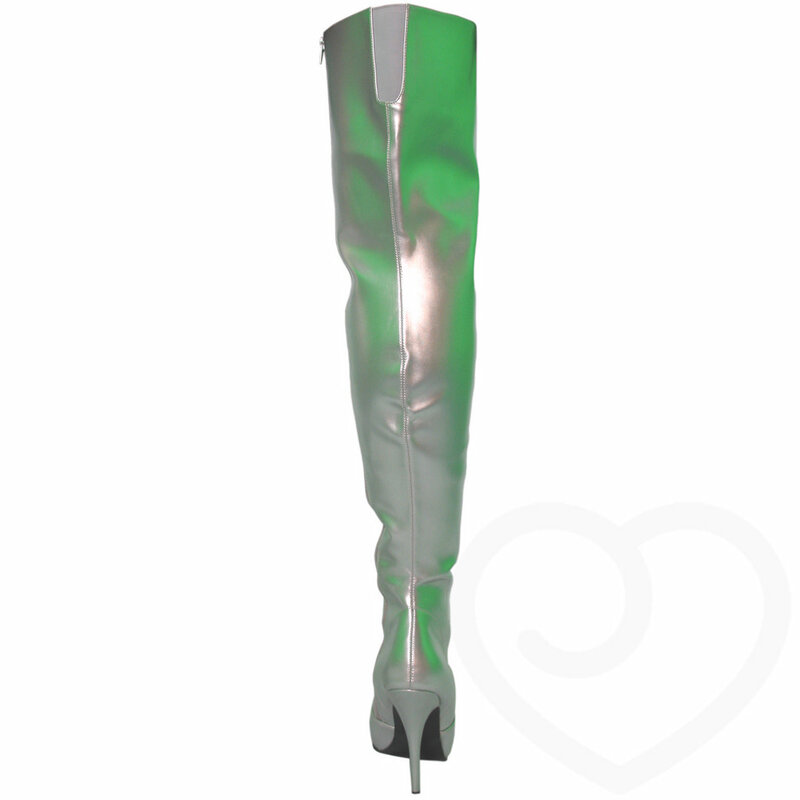 These fabulous boots have a gorgeous sparkling silver finish, pointed toe and 5-inch heel. Full length zipper fastener, stretch panel at the top of the thigh.